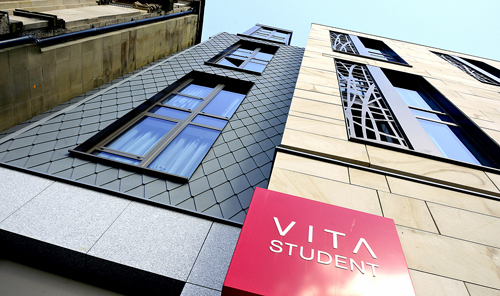 This is Vita Student Newcastle, a new development of 259 high quality student accommodation studios on Westgate Road in Newcastle town centre. 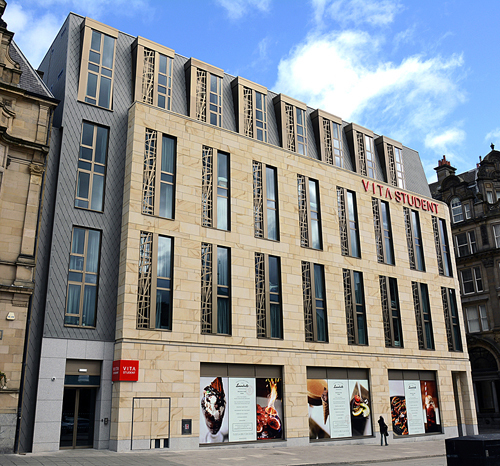 The site is surrounded by eight listed buildings and is stone’s throw from Newcastle Central Station. 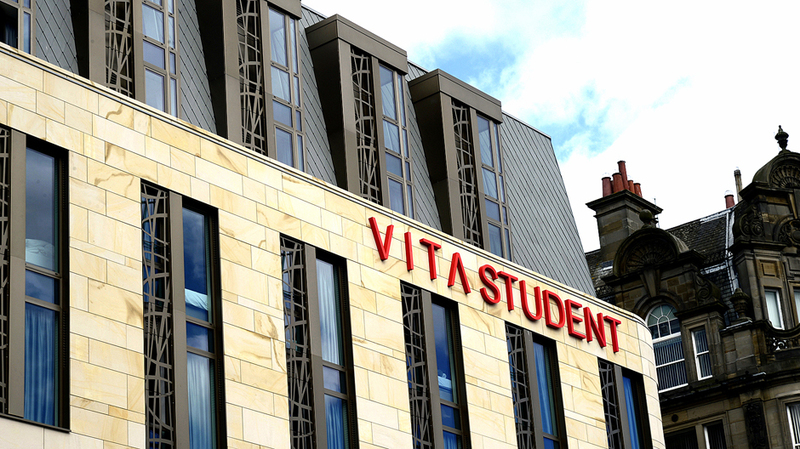 At Vita Newcastle, SIG Zinc & Copper were brought onto the project at tender stage to detail and advise on the shingles. 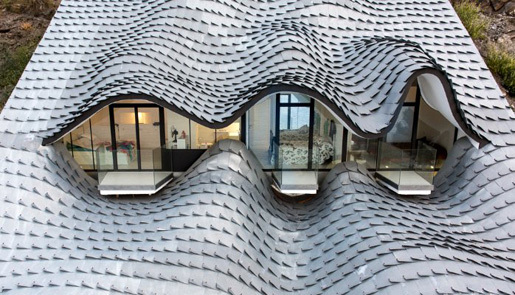 At the time the proposed shingle size was 250×180 rhomboids, which install at 55 shingles per m2. These small shingles look great, but could make the façade look very busy from the mid-distance. 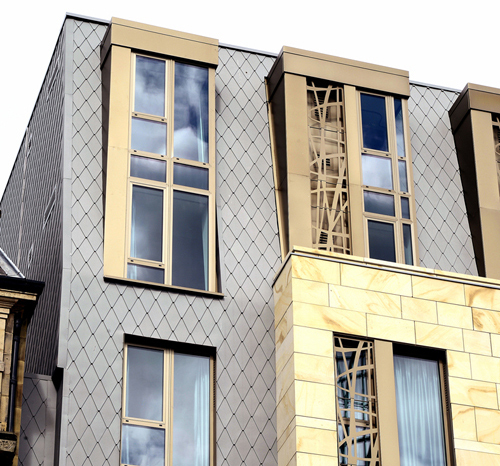 As specialists in metal shingle supply and design, SIG Zinc & Copper were able to look at all the options on the market and suggest a considerably larger shingle (560x250mm) which, as you can see, still looks fabulous but at only 14 shingles per m2 offers a considerable cost saving to the project in terms of installation costs. Detailing the mansard roof and vertical panels was relatively straightforward once the size was agreed upon, with the intention being to keep the finish crisp and neat. Walker’s team at Fuse were closely involved in setting out their requirements and reviewing the specialist subcontractor drawings. Envelope contractor Roofclad Systems also made up a 2m board of full size shingles to demonstrate the finished effect. “This was very effective for talking to the client and the planners,” says Walker.